Both ROBINSON CLUBs on Fuerteventura have introduced the latest tracking technology to increase the safety of their water sports customers. To achieve this, they have now the AIS-based tracker easyPOSALERT from Weatherdock. This allows the local stations to watch the water sports fans and intervene in case of an emergency or an unexpected situations, solve problems or save lives! The ROBINSON Club Fuerteventura thanks to this decision is now a pioneer in this field. The company Weatherdock from Nuremberg has realized this project together with ROBINSON CLUBs. The cooperation and the installation ran this week excellent. 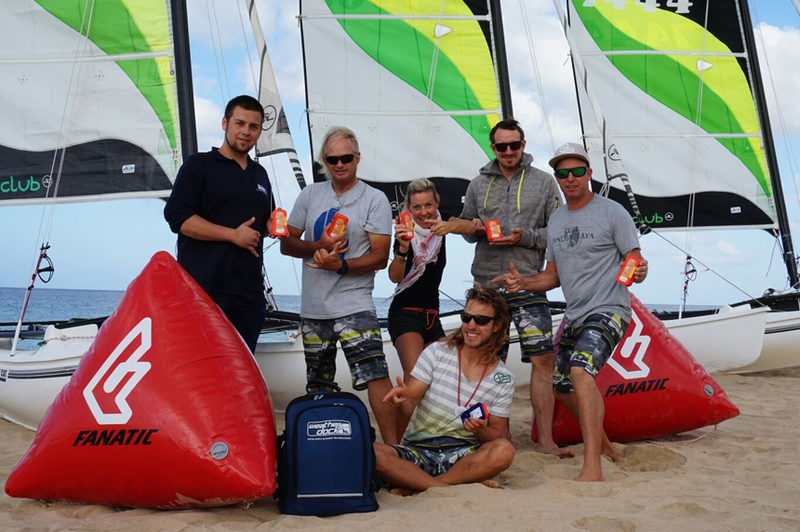 In the picture you can see the head of the service department of Weatherdock, Max Schuster, along with the management of the water sports station of the clubs in Fuerteventura. The management of the club and guests are excited about the possibilities this new security features.